Sunderland Empire and their award winning Creative Learning department are committed to supporting audiences to have the opportunity to participate in live theatre experiences through a range of accessible performances. This season, Wicked, Miss Saigon, Awful Auntie and Peter Pan will all offer a range of accessible performances from British Sign Language (BSL), Captioned, Audio Described to Relaxed performances. British Sign Language (BSL) Performances, during a BSL interpreted performance, every word that is spoken or sung is interpreted into British Sign Language (BSL) by an interpreter standing on stage, so that deaf or hard of hearing members of the audience can understand the play and follow the story. 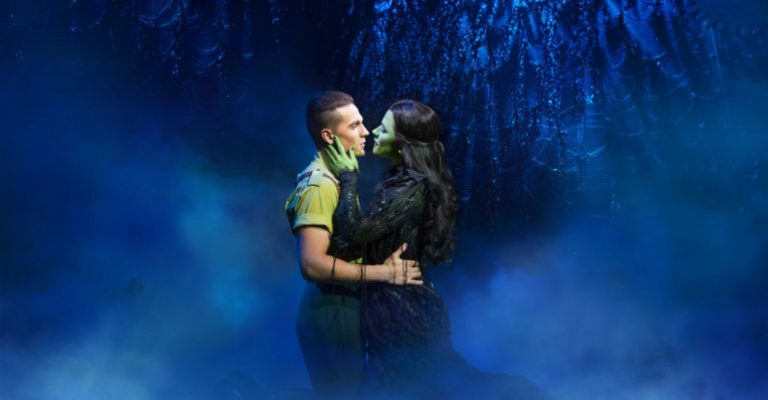 Wicked, Thursday 27 September at 7.30pm, Miss Saigon: Monday 5 November at 7.30pm and Peter Pan on Friday 4 January 2019 at 7pm. Captioned Performances convert the spoken word into text which provides people with hearing loss access to theatre performances. In captioning, the words appear on a screen at the same time as they are sung or spoken. Captions can also include sound effects, offstage noises and character names. Wicked, Thursday 20 September at 7.30pm and Miss Saigon, Tuesday 6 November at 7.30pm. Audio Described Performances are a verbal commentary that tells visually impaired theatre-goers what is happening on the stage during the parts of the performance where there is no dialogue. Wicked on Thursday 13 September at 7.30pm and Miss Saigon on Thursday 1 November at 7.30pm. Relaxed Performances – are specially designed performances that have been adapted to reduce anxiety and create a supportive atmosphere for people with autism spectrum conditions, learning disabilities and other sensory and communication disorders. Relaxed performances are going from strength to strength at Sunderland Empire and the next performances planned include Awful Auntie, Saturday 30 June at 10.30am and the high-flying pantomime Peter Pan on Thursday 27 December at 5pm.